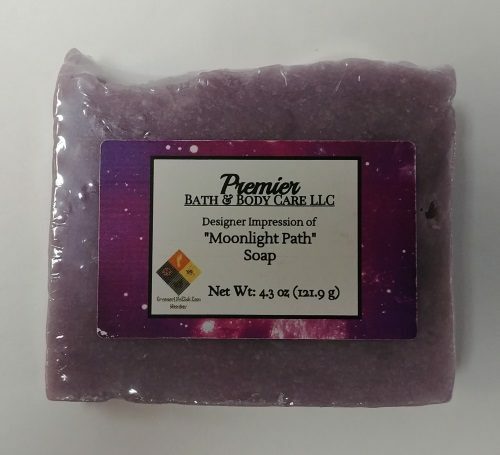 Short Product Description: Moonlight Path—This soap has a been scented with our version of Moonlight Path fragrance similar to the popular designer fragrance. 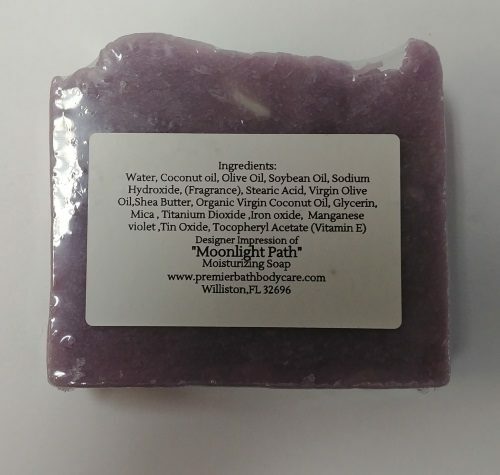 Our Moonlight Path has a nice light scent that is not too overpowering. 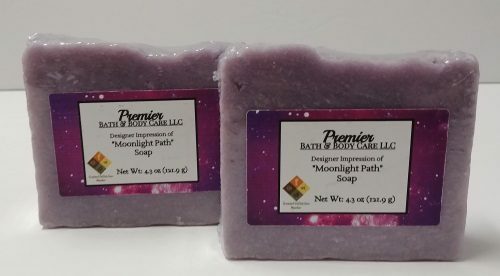 It has notes of French lavender, lily of the valley, oakmoss, and musk that are woven in this deeply romantic fragrance capturing the essence of moonlit strolls in lush gardens. The moisturizing oils used produces a rich luxurious lather that will leave your skin clean and soft without stripping it of its natural oils. This soap like all our soaps are made as natural as possible without any added additives, harmful chemicals or harsh ingredients. 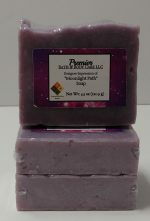 *Due to all soaps being handmade and cut, weights may vary from 4 – 4.7 oz per Full Bars. Moonlight Path Fragrance Oil: Notes of French lavender, lily of the valley, oakmoss, and musk.